The book provides an insight into the nature nonviolence and the ways to live a happy and meaningful life. Nonviolence is much more than a political tool of resolving conflict. It has many facets. Dr. Ray explored the scope of nonviolence in day to day living. According to him, nonviolence is not something to be imposed but should come out spontaneously from deep understanding of interconnectedness with the whole world. Nonviolence brings the freedom from the negative states of mind. It brings peace and loving kindness. The themes of the book revolve around nonviolence in daily life, awakening our inherent godly nature and bringing lasting happiness in the world. The profound but gentle wisdom encased in the book will help you to arrive at greater understanding and peacefulness. 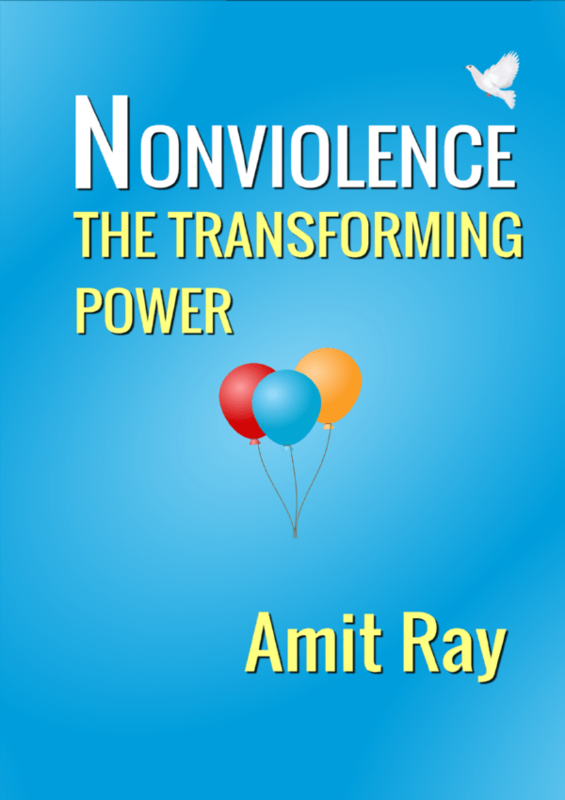 Amit Ray’s deep understanding of nonviolence, beauty, loving kindness and peace philosophy is reflected in the book. His reflections on relationships, love and blessings are particularly heart-touching. Whatever be your religious beliefs, the simple compassionate lucidity of his expressions will inspire you to culture and reap the benefits of nonviolence in your daily life. The hidden theme of the book is seeing life and feeling its pulse with the eyes of a compassionate mother. The book offers skillful ways to handle anger and fear. It shows ways to cultivate loving-friendliness in relationships with parents, children, partners and the world. By practicing non-violence the way he teaches, you will discover that life is easier and beautiful than you ever thought possible. With your positive approach and the sense of godliness you can heal the world.